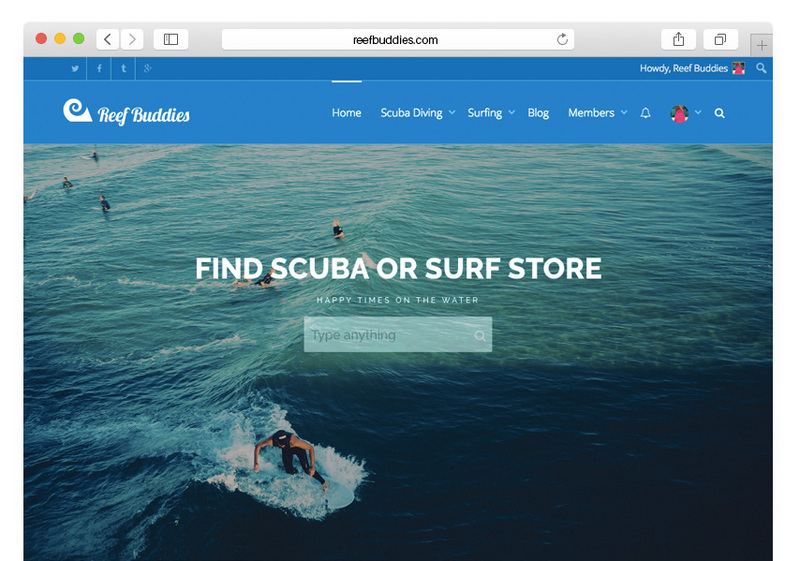 Reef Buddies is a social network for divers and surfers. Members can connect with each other to find “Reef Buddies” with whom they can go diving or surfing. Members can also create meet-up groups, organise events and track other members on the world map. Another aspect of Reef Buddies is the directory listing and review functionality. Members can browse through thousands of listings worldwide and leave reviews of their experience with dive centres or surf schools. We designed, branded and developed Reef Buddies from the ground up.